Zanara is a totally awesome F6 girl. 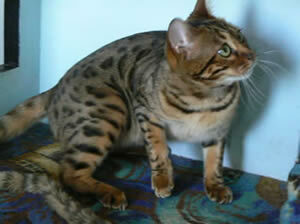 She has incredible type with a classic head, SUPER thick tail, wonderful eyes & small rounded ears. 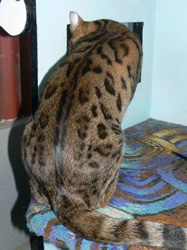 Her coat is glossy & glittered with beautiful rosetting & great depth of colour & contrast. Her temperament is amazing, outgoing & loving. She has been bred to Ace so I am expecting some absolute stunners.